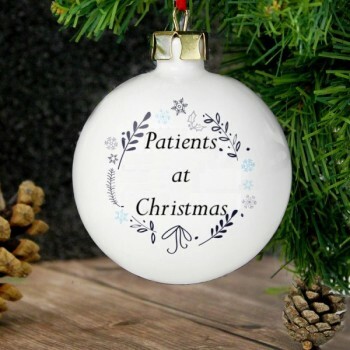 'Patients at Christmas': a two act play for 5 female actors. Katie isn’t very good at making friends. That’s probably the reason why she has none. Added to which she doesn’t do anything, go anywhere, have any hobbies. So, mother-dear decides that with Christmas coming up, she should invite her friends around for Christmas dinner – but as she doesn’t have any friends, she has to go for second best. The rest of the therapy group. It doesn't take long for Katie to figure out that there's more to having fun at Christmas than having patients - no matter how you spell it. And this particular Christmas brings unexpected opportunities; to finally discover who she really is and moreover, that what she wanted from her life was within her grasp all along. Katie: Probably in her 30’s but of an age to match Joy being her mother. She is simple, uncomplicated, honest; a woman fighting to be her own woman and not what her mother wants her to be. She is passionate, a character yearning to find her place in the world and the opportunity to take it. Joy: Katie’s mother. 50+, very elegant, well-spoken, precise. She is oblivious to the world unless it is her world and on her terms. She is very controlled and in control of everything and everyone. Cutting, sharp and dreadfully condescending! Natalie: 30-50. Natalie, well, is Natalie. A character. Odd, a bit spaced out, missing the point frequently. Eccentric in manner and conduct and in her own world of understanding and misunderstanding, but at her core, an innocent and sensitive. The main set is the dining room at the home of Joy and Katie. There is in the first act, a scene in a pub which is described as simply comprising a pub table and four chairs. As long as it can be positioned and lit away from the main set, that is all that is required. If it can be set and struck just for scene 2, even better. The dining room is functional, a little dated, the centre of everything revolves around the dining room table with furniture and dressing to taste. Two doors as working entrances/exits would suffice: one leading to the kitchen and one into the hall.